Solange Knowles Pregnant With Her Second Child? - Ooooooo La La! 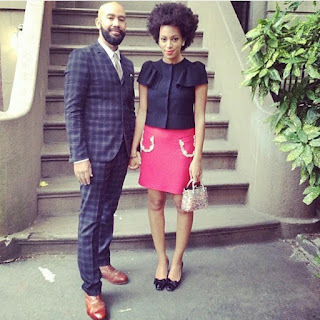 Solange Knowles Pregnant With Her Second Child? Rumor has it that Solange and her husband Alan Ferguson are expecting their first child together! The couple - who tied the knot in 2014 - hasn't confirmed the news just yet. Solange is already the mom of 11-year-old Daniel Julez Smith, Jr.
Time for baby bump watch, again! ... Congrats to them!